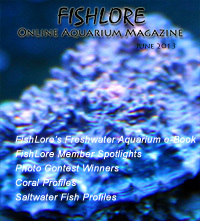 Welcome to the Fish Lore Online Aquarium Magazine! 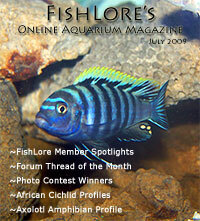 The Fish Lore online aquarium magazine is a collection of articles written by Fish Lore Aquarium Forum members. 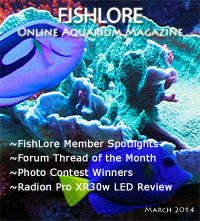 There is a new fish and aquarium magazine issue every month! 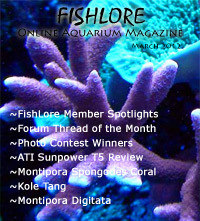 The topics we cover every month in the aquarium magazine vary. 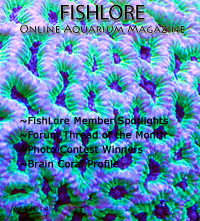 We try to have new fish profiles, a beginner article, topics for both the freshwater aquarium and the saltwater aquarium as well as a few Fish Lore member spotlights. 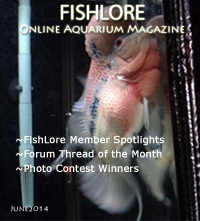 We also have a forum thread of the month and the fish of the month and aquarium of the month photo contest winners! 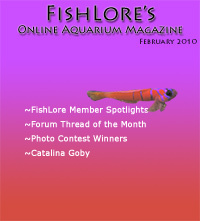 Winners of the photo contest each get a $10 gift certificate. 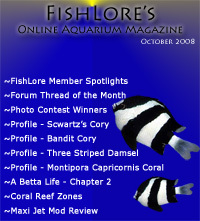 If you would like to write an article for the Fish Lore aquarium magazine, please contact Mike via Private Message (pm) or email on the forum. 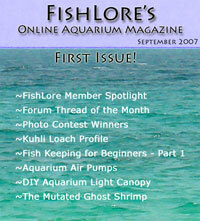 This is a magazine written by aquarium hobbyists for hobbyists. 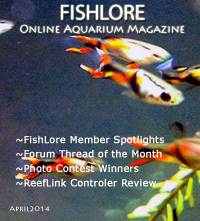 Check out the Article Author Guidelines if interested.